At first glance, you may think GRIS is just another 2D puzzle platformer. But when you look closely, GRIS is so much more than this. GRIS employs opulent graphics and an ethereal soundscape to tell its story without text or voice acting. 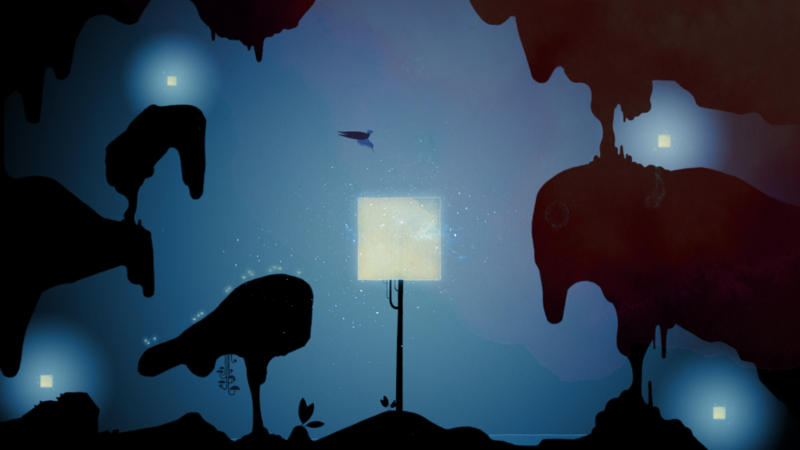 The resulting narrative is not bound to a single interpretation, allowing players to form their own understandings of the story. 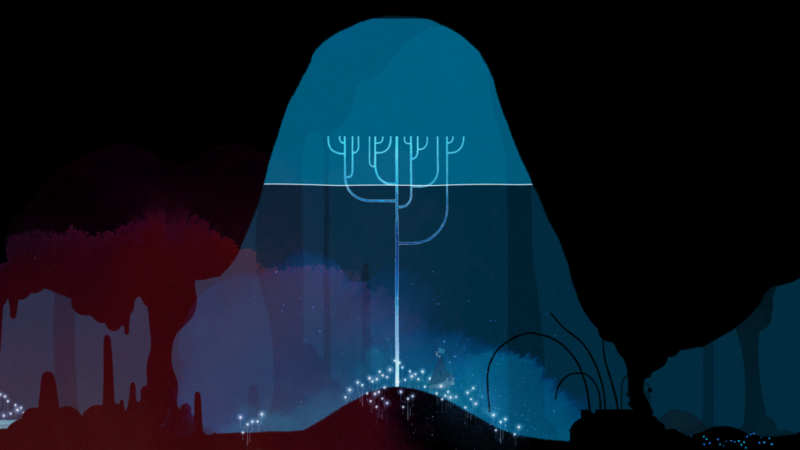 Yet most players will agree that GRIS is about the sorrow that often haunts us, whether it be depression, grief, or something else. And GRIS is about the steps we take to confront our sorrow, fight our darkness, and bring our own worlds back to life. GRIS is about the sorrow that often haunts us, whether it be depression, loss, or something else. GRIS begins in the cupped palm of a large statue’s hand, where a young woman sings with a soaring voice. Her name is Gris, which means “grey” in Spanish, Portuguese, and French. Suddenly, Gris loses her voice, and she collapses in despair. Her abrupt fall cracks the stone palm, and the entire structure disintegrates, sending Gris tumbling almost endlessly through an empty sky. She lands in a barren landscape devoid of color. She can barely stand, let alone walk. But after a short while, Gris gathers the strength to run. 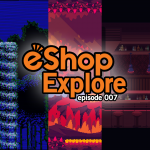 Gris has collapsed from despair, and her world is about to come crashing down. Gris journeys through her crumbling world not knowing where she’s going. But she knows she must press on, facing each new challenge with bravery and resolve. She steadily learns new techniques that make her stronger, like floaty jumps, double-jumps, and the ability to transform herself into a weighty and sturdy block. (When introducing new techniques, the game indicates which buttons to press to use them.) She also collects what seem to be stars, which trail behind her and form constellation bridges over otherwise-unpassible gaps. 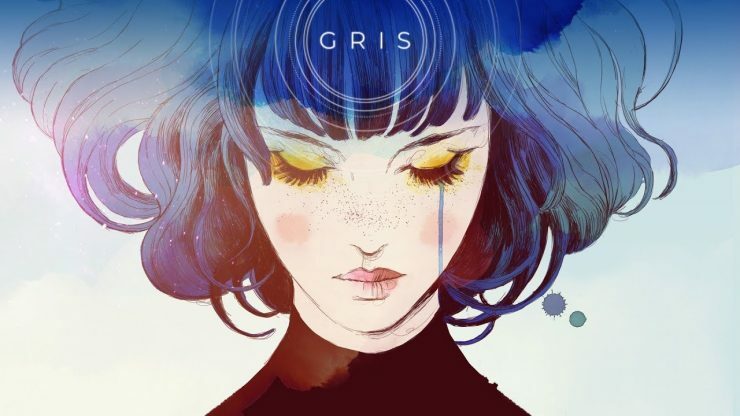 And Gris gradually transforms the barren landscape of grey, black, and white into a dazzling world of color and light. Gris gradually restores color to her world, bringing it back to life. You’ll never get hurt or die in GRIS, and if you ever fall from a platforming misstep, you can always get right back up to where you were. 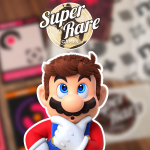 The game is designed to provide a relaxing and frustration-free experience, but frustration is possible for players who have a hard time with platforming puzzles. The difficulty ramps up with progression, and while GRIS never becomes a super-tough platformer, some of the late-game puzzles are pretty tricky to solve. Overall, GRIS delivers on a frustration-free experience. Gris’s movement is pretty slow, and her gravity is heavier than you might expect. But these slower, weighty movements are a perfect fit for this game: sorrow and depression drag you down in figurative and literal ways, so it’s only natural for Gris to move more slowly and heavily than your typical platforming protagonist. 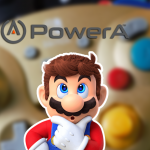 Once you adapt to the game’s physics, you’ll find that the controls are very tight, and they respond precisely to whatever you input with your controller. GRIS’s controls are very tight and highly responsive to player inputs. 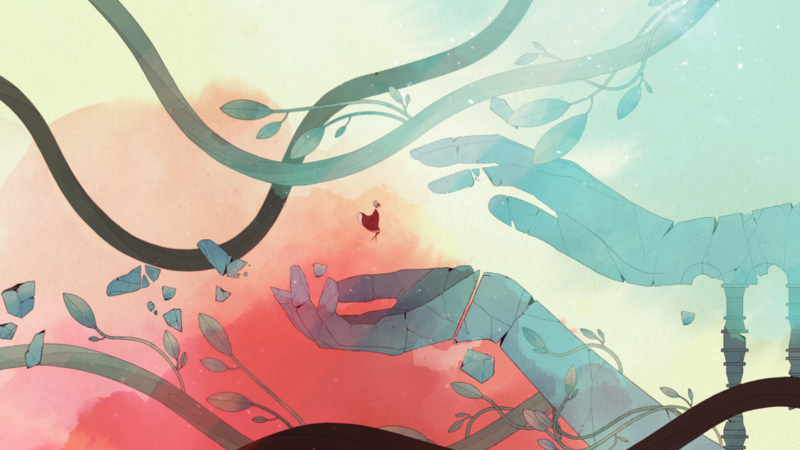 Being a visual narrative, GRIS relies massively on its graphics, and if you’re able to see the images in our review, you’re probably thinking that GRIS contains some of the most breathtaking art you’ve seen in an indie title this year. We think so too, and we have so many questions for the developers about their exquisite artwork. Are the graphics hand-painted? How did the artists create such lavish landscapes by using only a few main colors, and sometimes no colors at all? 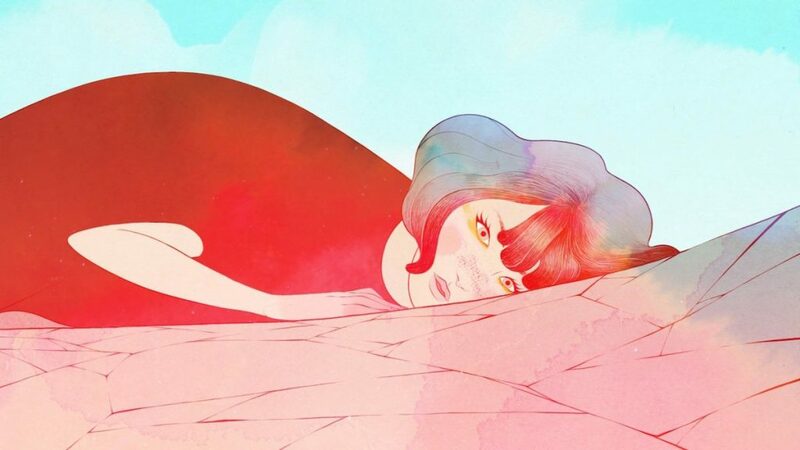 We’re truly baffled by this game’s graphics, and they might just be our favorite element of GRIS. 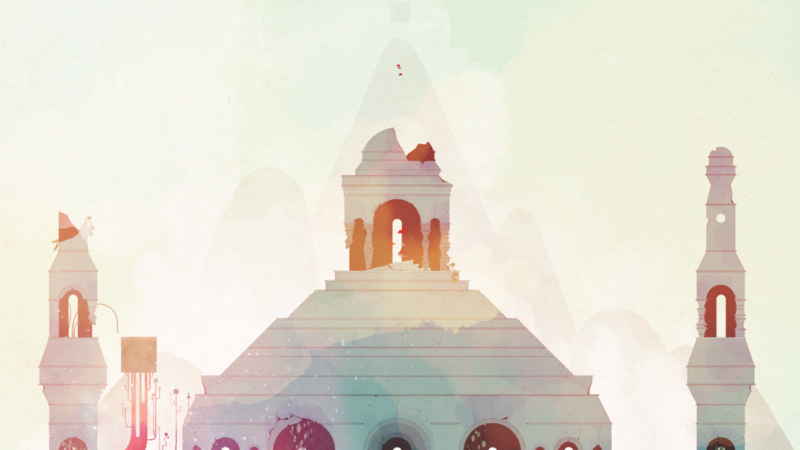 Even when color is largely absent, most screenshots of GRIS could pass for masterful watercolor paintings. 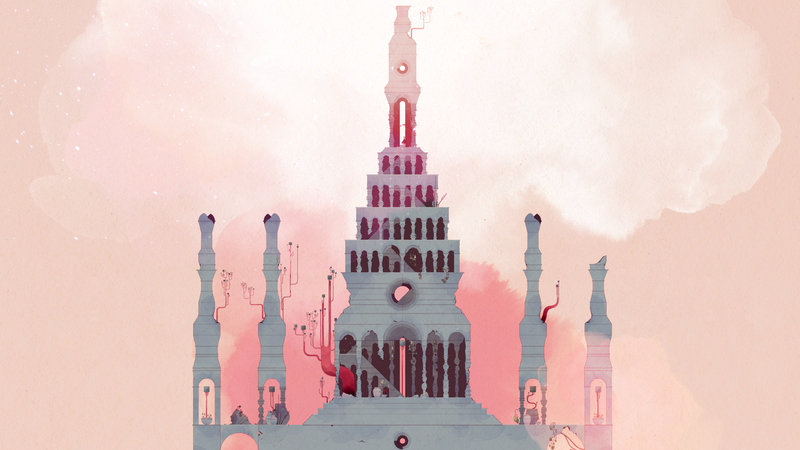 But the graphics aren’t the only aesthetic doing heavy lifting in telling GRIS’s story. A piano-and-strings-based soundtrack is often accented by brooding sounds that emanate from the harsh landscape. Other flourishes include music-box-like bells associated with stars and constellations, and creepy organ music that plays when strong dust-storm winds come blowing in. Then there’s Gris’s songbird-like voice, and though it doesn’t feature prominently, it’s immensely powerful while it lasts. Later in the game, you’ll contend with underwater puzzles that can be quite tricky. GRIS offers an aesthetic experience like no other, and while it’s priced a bit higher than your typical indie, it’s worth the higher price tag for the experience. 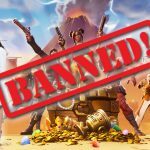 Most players will complete the game in a few hours, and completionists can have fun with optional challenges and collectibles if they like. 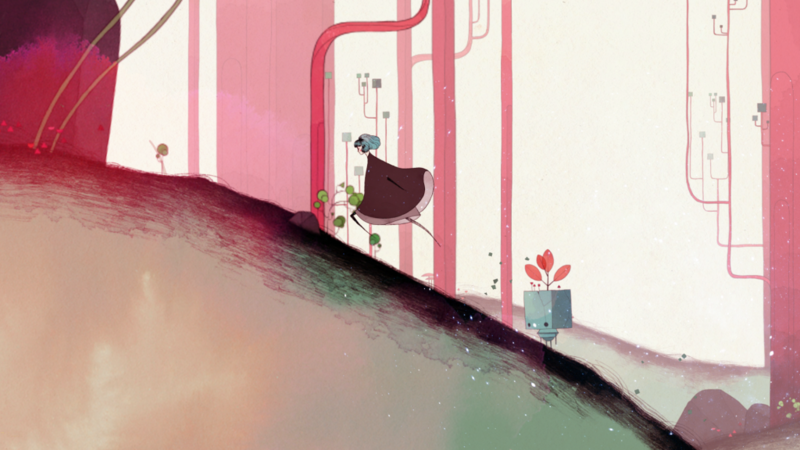 Most anyone can play GRIS, so long as they are prepared to face a few tricky platforming puzzles. The visual narrative is haunting, emotional, and very relatable, especially for those who know what it’s like to feel hopeless. GRIS captures that hopeless feeling so perfectly—and then it shows you how to climb out of the darkness and into the light. 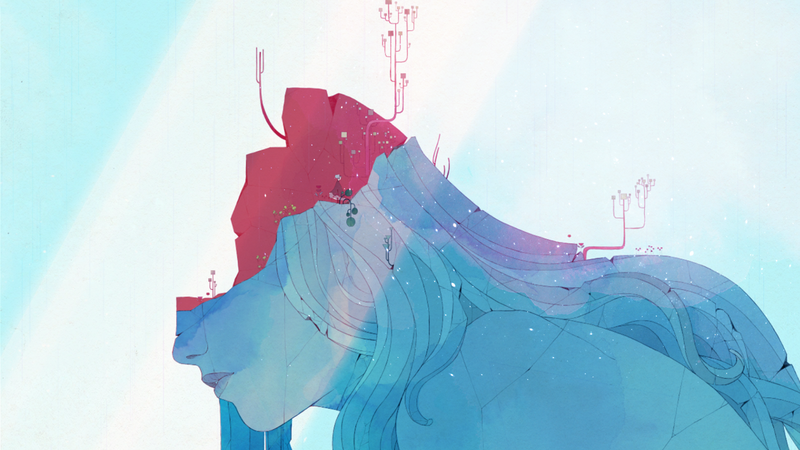 We highly recommend GRIS for anyone who’s up for a 2D puzzle platformer. You’re in for an exceptional experience!